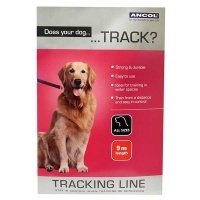 Dog leads for large breed dogs. 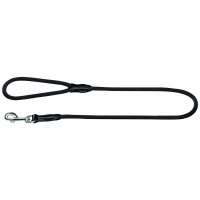 We supply top quality strong dog leads suitable for big powerful dogs. When walking a big dog, you need something that can cope with a high tension should your dog decide to make a lunge. Please contact us if you would like us to recommend a lead suitable for your needs. We have leads in leather, nylon, extendable and shock-absorbing dog leads from top brands such as Ancol, Flexi, ROK, Ruffwear and El Perro. Nylon Rope Slip lead 12mm X 150cm. Choice of colours. 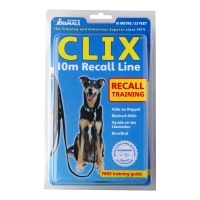 Ideal for training a dog in open spaces. Available in 4.5m or 9m lengths. Nylon Rope lead - 120cm length. Nylon Rope Slip lead - 170cm length.